The best miners lamp available. "I believe in the Golden Rule - The Man with the Gold... Rules. " Mining, especially Underground Mining is a dangerous and hazardous job. Conditions can vary from dry hot and dusty to cold, wet and muddy. With our Miners Cap Headlamps Cree LED you now need to carry less weight and size of battery due to LED being more of an energy efficient option. We think we have the best miners lamp available. Our Miners Light KL6LM is by far the market leader when it comes to miners headlamps. The KL6LM Miners headlamp has a lot to offer with its 3 different light modes and can illuminate up to 200 metres distance. 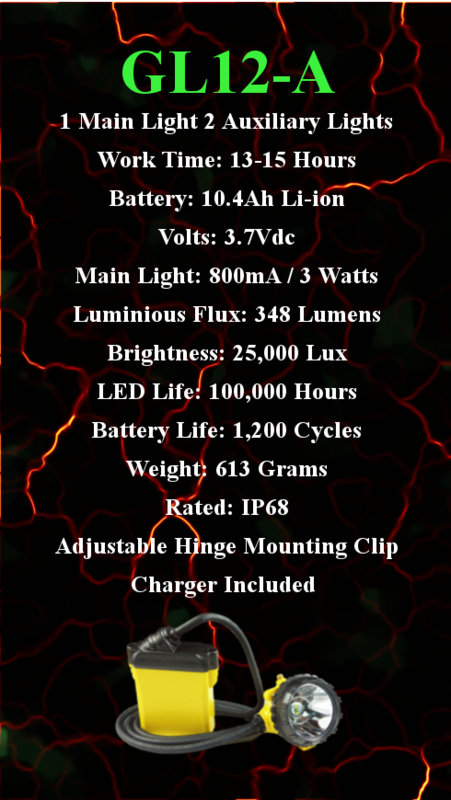 Hi brightness 15,000 lumens offers a working time of 13 hours before recharging. Half brightness is 26 hours. CE, RoHS and ATEX approved. Buy the fully tested & approved Miners Cap Headlamps Cree LED KL6LM and GL6-C for your mining operations. 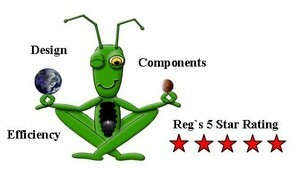 Reg gives them the thumbs up 5 star award for design components and efficiency. Recharging stations for Miners Cap Headlamps are available and made to order for your requirements. Available for small mines who may only have a dozen miners to larger mines that require charging stations for 200 miners. Made specifically to suit the model of your mining cap lights. Find our contact details at the bottom of this page. Our GL5-C is an industry standard mining cap light and has proven reliability with its robust design and construction. Mine site PPE or personal protection equipment is serious business at any mine. PPE has to be reliable, comfortable and when it comes to personal safety there is no compromise. Atex Ex approved our IP67 GL2.5-A, GL2.5-B and IP68 GL2.5-C-B are lightweight cap lamps offering less head strain and have an adjustable beam angle mounting clip to direct light to your exact comfort. All our cap lamps are made to the highest of standards and offer LED technology combined with Lithium Ion long life battery performance. Miners Cap Headlamps made for the toughest of conditions. Miners Light GL12-A and the GLC12-A with rear warning light are the brightest available with a massive 25,000 lux output. 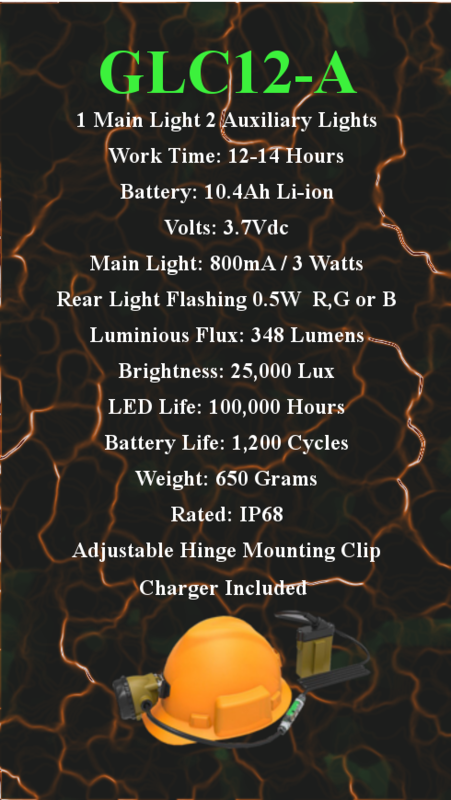 Powered by Cree LED`s and SAMSUNG 10.4Ah Lithium Ion long life battery they offer excellent durability and personal protection with anti explosive, fire, chemical and impact resistance. 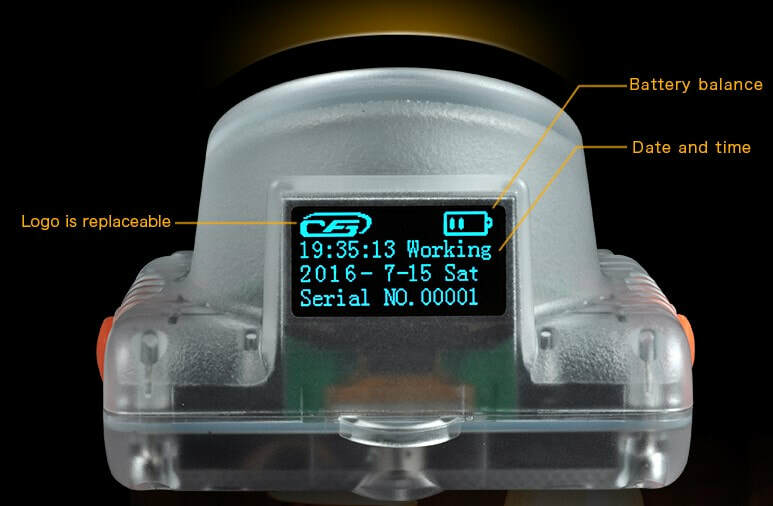 Three lighting modes plus low battery warning function make the 12-A the perfect solution to any mining operation. Comes with C-Tick charger and charger racks are available upon request. Click on the Miners Cap Headlamps below to buy or find out more. You may also like to check out our Explosion Proof LED Lights for Hazardous Areas and Applications.